If you are looking to improve your energy efficiency or change the style of your home, the easiest place to start is your windows. There is no place in Rockford better to begin your window replacement project than with Feldco and our 40 years of experience. We have many styles and options available so you can create the perfect look for your home. Feldco is the Best Window Replacement Company in Rockford! 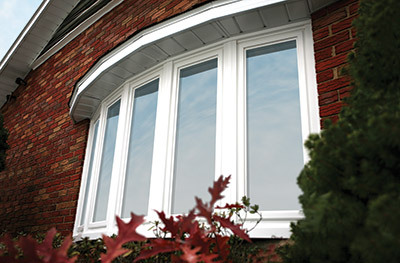 There’s a variety of replacement window options at Feldco. We also offer a vast selection of colors and options to completely transform your home. Our Product Specialists will be with you every step of the way to make sure you are getting exactly what you need. 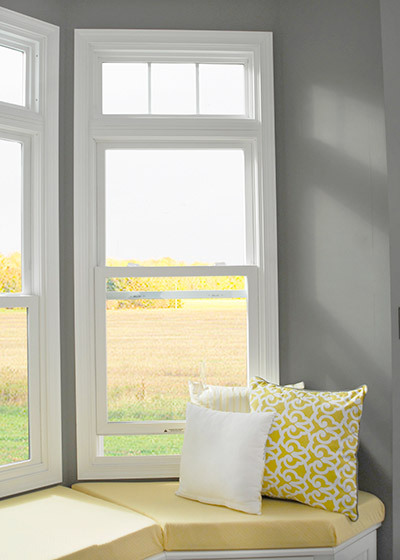 The most popular window style is the double hung window. They look great in any room of your home and can be combined with many other window styles. 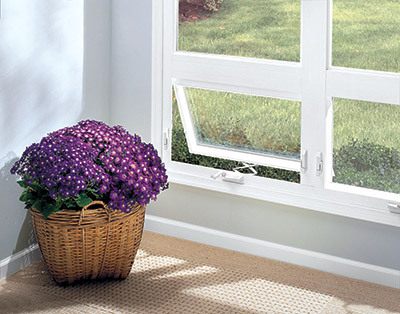 Double hung windows have great air ventilation as well. With two operating sashes, you can control how much air enters your home. A casement window is another window that looks fantastic in any room and has great air ventilation. It operates on a crank so you have complete control over how much you’d like to open your window. There’s also a selection of designs and colors available. 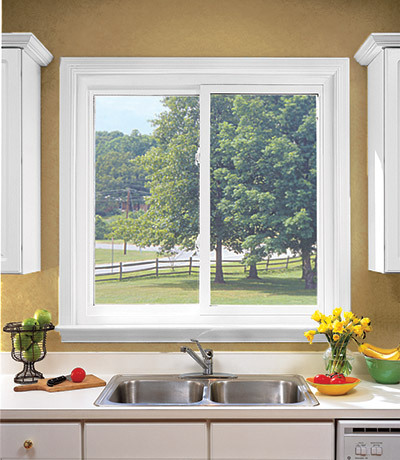 Sliding windows are perfect for locations where the window is difficult to reach, such as above a kitchen sink. They open right to left or left to right rather than up and down. This is because they run on a state-of-the-art sliding system that prevents sticking and racking. Sliding windows are a great option for adding beautiful natural light in your home. Bay and bow windows extend past the facade of your home’s exterior creating dimension and depth that improves your curb appeal. 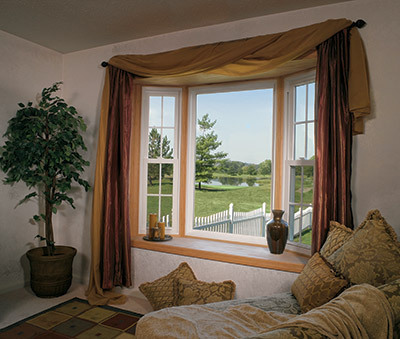 A bay or bow window consists of three or more picture, casement and/or double hung windows. 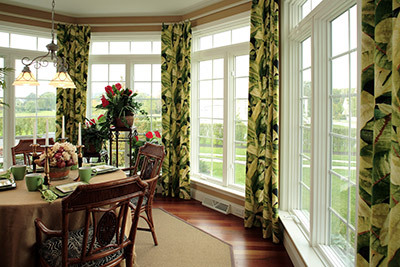 You will reap the benefits of each of those window styles and allow a lot more light into the room. Picture windows are usually larger windows and are inoperable. While they do not open, they have the best sight lines of any window. In addition, they allow the most light into your home. They are best used in combination with operable windows. There are also many grid options to add more style to your picture windows. Do you wish you could open your window and enjoy fresh air without worrying about the weather? 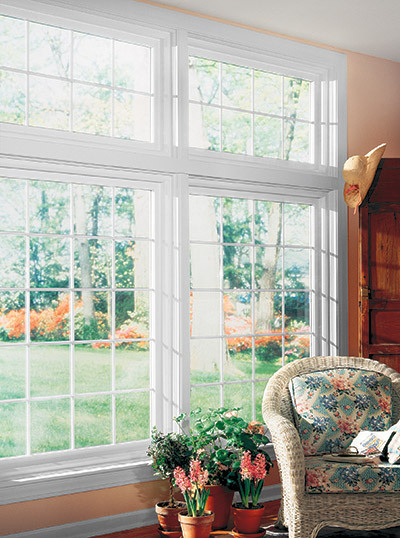 Awning windows are a great solution. They open from the bottom creating an awning effect so precipitation slides away from your home. Awning windows also add a dramatic and unique look to you house. Basements don’t need to be void of light or air ventilation. Adding a window in your basement will give the room much needed light. 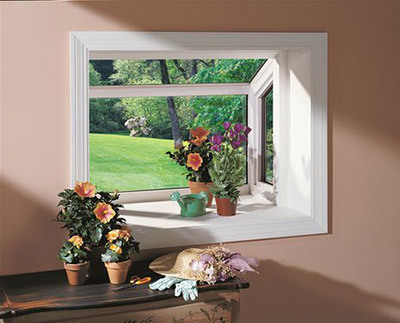 The most common basement window is the hopper window which open from the top with an easy to use latch. You can add obscured glass for privacy. Housing a beautiful indoor garden is easy with a garden window. 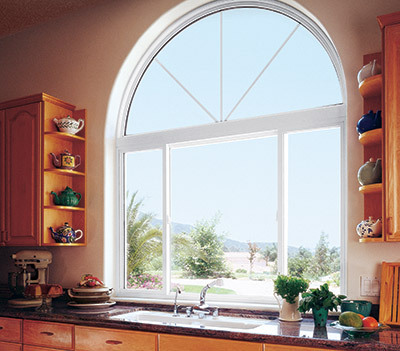 Our garden windows look heavenly in a kitchen and extend from the exterior of your home. By adding a shelf to your garden window, you can increase the amount of plants it houses. Being unique is never a bad trait. Architectural windows are shaped windows that enhance your home. They add beauty and design depth unlike any other window styles. There are a variety of shapes and styles available for our architectural windows and they work best when combined with other window styles. Your installers are guaranteed to complete your project better than anyone else in the industry. They are dedicated to ensuring that your new windows are properly installed. With four decades worth of window installation, you’re safe trusting Feldco with your window replacement project. All installers are background-checked, factory trained and tested to be drug-free to ensure that your installation will go smoothly and you will be delighted. Feldco has proven with 40 years and 350,000 delighted homeowners that we are the best window replacement company in Rockford. You’ll be comfortable choosing us and your installation team will go above and beyond when installing your new windows. Not only will you receive a competitive price but you will enjoy a more comfortable, energy efficient home. Your heating and cooling bills will be lower year round.